Posted: Thursday, April 11, 2019. 7:08 am CST. By BBN Staff: Yesterday, Prime Minister Dean Barrow scheduled a Special Sitting of the House of Representatives for Friday, April 12, 2019. Shortly thereafter, the Opposition People’s United Party (PUP) issued a statement demanding that the Government provide the order papers for the Special Sitting. The PUP says that it met with its executive body in anticipation of the special sitting, however, they have not received any documents, resolutions or bills that are normally issued in advance of a sitting of the National Assembly. “The Party’s Parliamentary Caucus considers it undemocratic and highly inappropriate that the Government would not provide members of Parliament with the order papers, which is usually accompanied by proposed bills, resolutions and other matters to be discussed, which would allow members to properly prepare for Friday’s House Sitting,” the PUP notes. 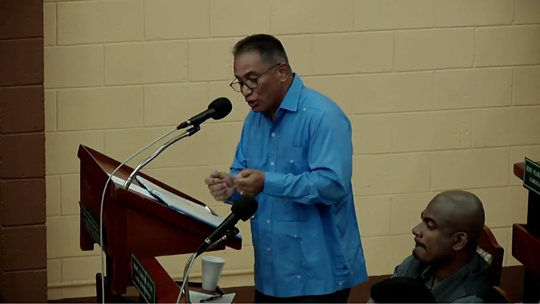 The PUP reiterates its position set out in the People’s Declaration of the respect to the sacred right of the Belizean people to decide whether or not we should submit the unfounded claim by Guatemala to Belizean territory to the International Court of Justice for final adjudication.